By selecting Copy, you are presented with a duplicate of the report you just entered. You can then amend the fields as necessary, and Submit. You've created a new MMIR! Plus, you can keep doing this process over and over as many times as needed. So if you have been putting off filing reports and now find yourself backed up, it's easy to get caught up...fast. The search menu appears. If you have a general idea as to which report you want to copy, you can enter those options in the Comprehensive Search section. 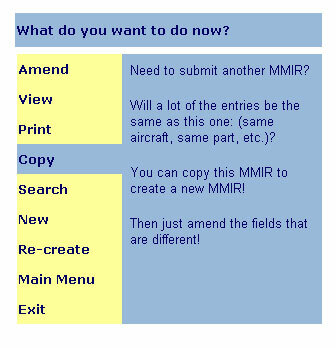 On the other hand, if you know you want to copy the only other MMIR that you entered already that day, use Quick Search. 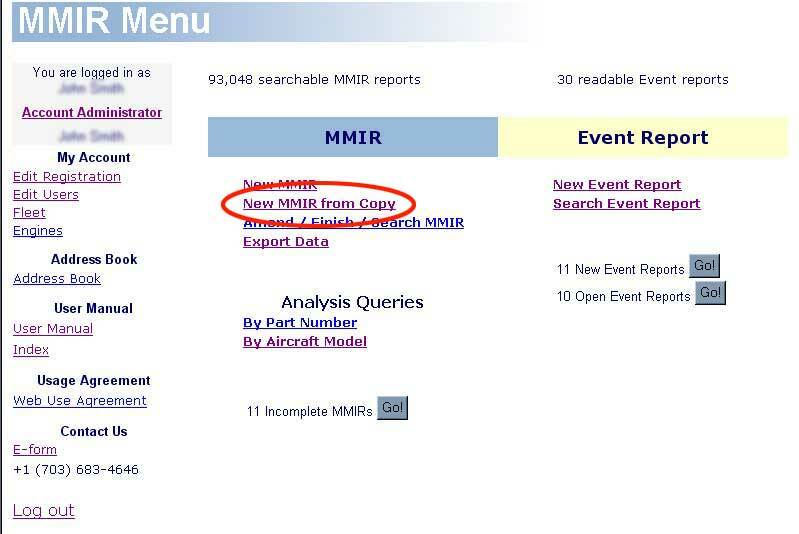 The reports that meet your search criteria will be listed. 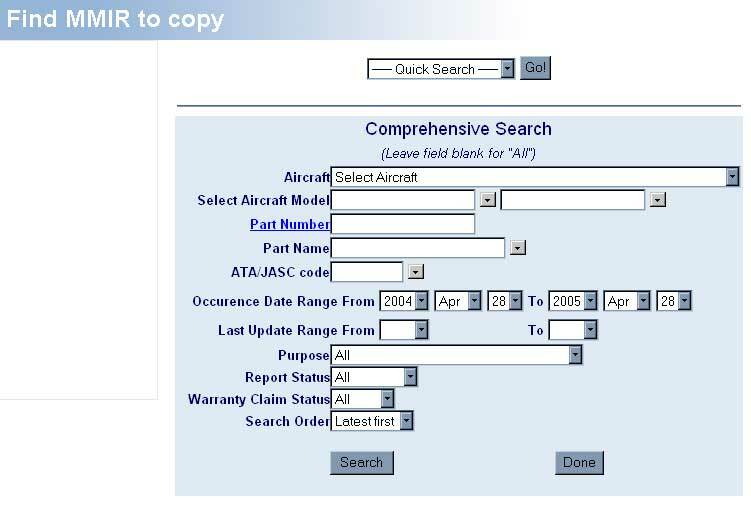 (see example below) From there, you can view the report to determine if it is the one you want to copy.
! Tip A "Copy" of a report is NOT an edit. 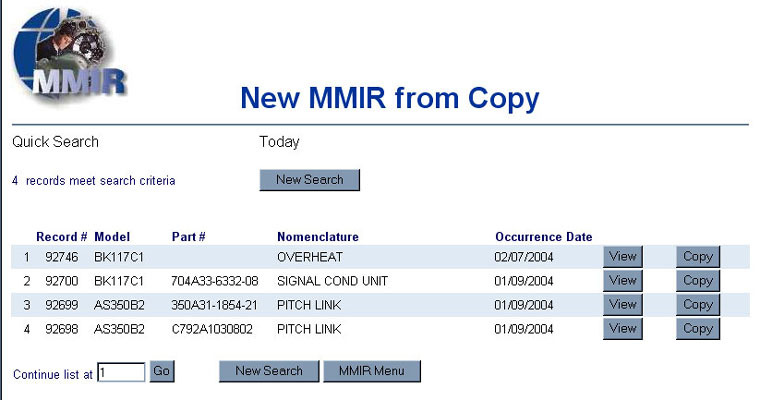 MMIR generates an entirely new report, using the information from the report you are copying. The report you are copying from is not affected. To edit or amend, see Chapter XI.